Sainsbury’s is the largest retailer of Fairtrade products in the UK. 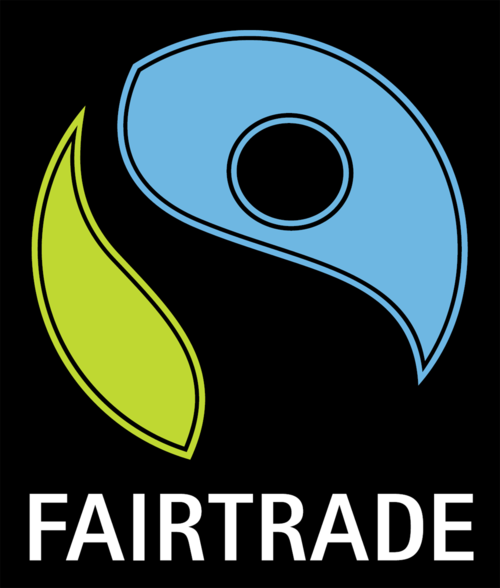 They’ve decided to abandon Fairtrade certification on some of their own-brand tea products and pilot their own scheme instead, known as ‘Fairly Traded’. We are concerned that this new ‘Fairly Traded’ tea and any products that follow it, could mean an unfair deal for poor farmers. 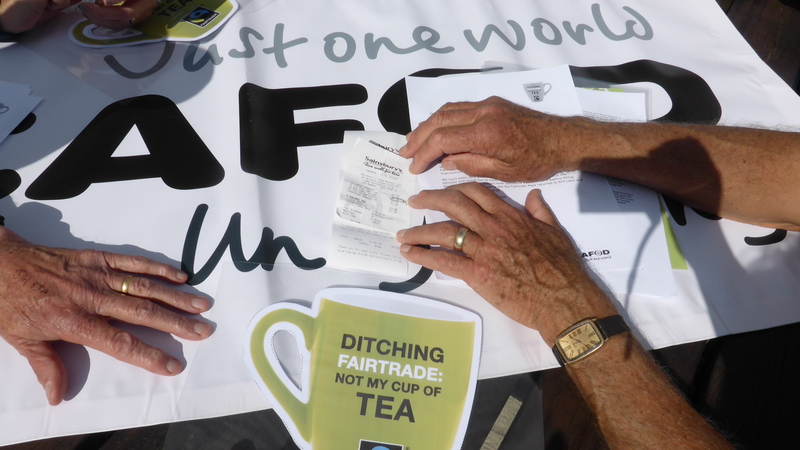 We will be delivering a letter of protest to Sainsbury’s to challenge their decision to abandon the Fairtrade mark and we need your support to help us raise awareness of their decision to replace the Fairtrade Mark on its Red Label and other selected teas with its own `fairly traded’ version. 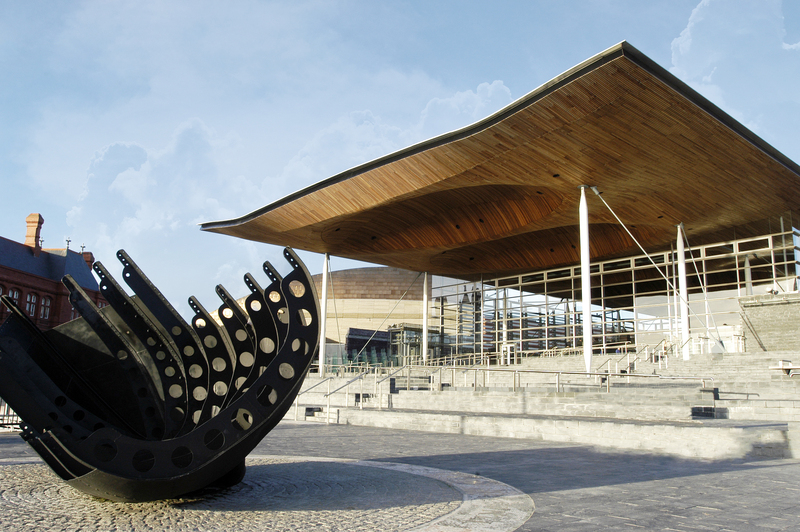 If you are unable to join us on 28 October in Cardiff, why not take action yourself and tell Sainsbury’s not to ditch Fairtrade. 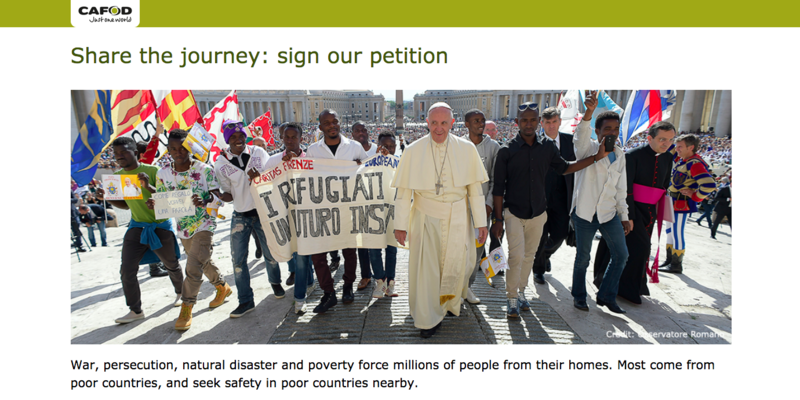 You can personalise and print out this letter to Sainsbury’s and get as many people in your parish to sign it. Fairtrade guarantees tea producers receive an additional `premium’ payment – on top of the price of their tea – to invest in their businesses and communities as they see fit. 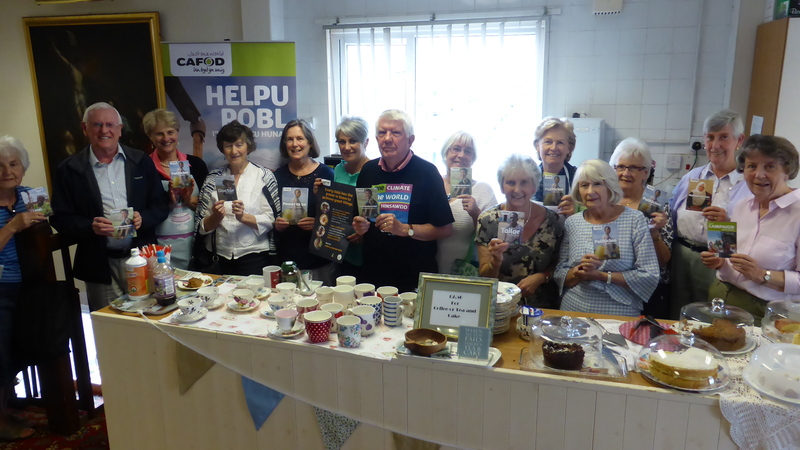 CAFOD supporters are concerned that tea farmers will lose control of the social premium they would earn under Sainsbury’s alternative scheme, which stipulates that suppliers have to apply to a UK-based board for their funding. 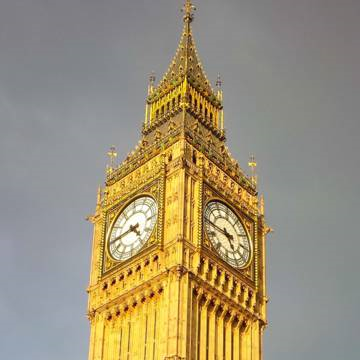 They are also worried that standards will be controlled by Sainsbury’s, and will not be set independently. 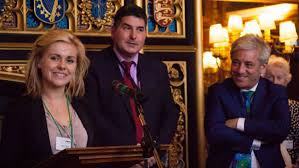 Tea farmers will not be represented in the scheme’s governance – in stark contrast to Fairtrade certification where producers are part of the decision making process about how standards are set, monitored and reviewed. It’s estimated that nearly a quarter of a million tea farmers and workers will be affected. 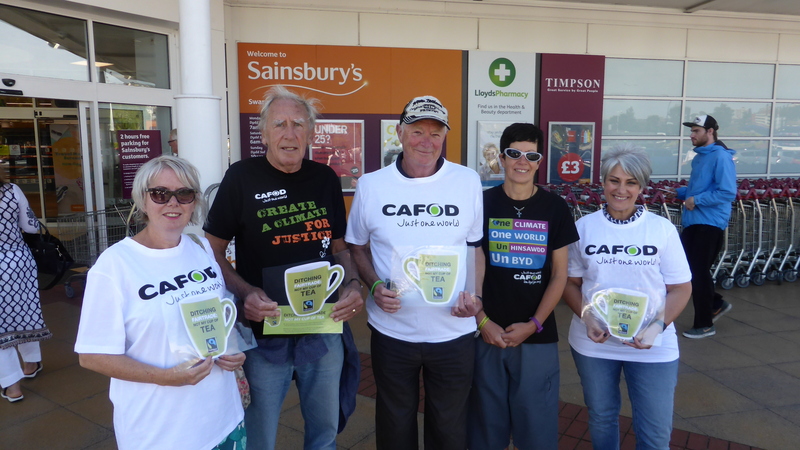 Last month a group of Swansea residents and CAFOD supporters was was moved to protest against at Sainsbury’s decision to trial their own scheme as they feel that the Fairtrade mark is instantly recognisable. 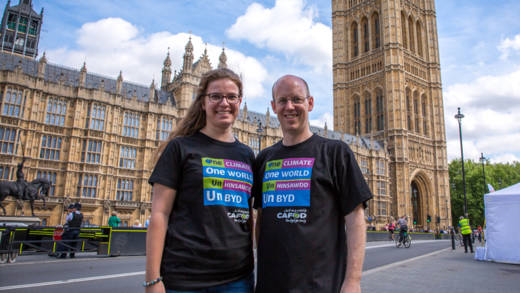 The protests are part of a nationwide campaign supported by CAFOD, Christian Aid, The Women’s Institute, Traidcraft Exchange and Tearfund calling on the supermarket to reconsider this pilot scheme. British tea drinkers account for three quarters of Fairtrade tea sales globally, with Sainsbury’s the world’s largest retailer of Fairtrade. 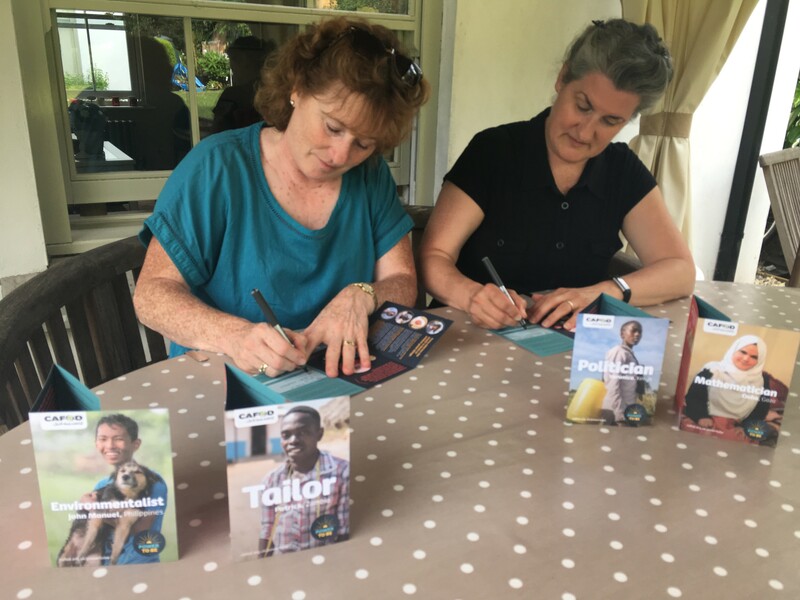 The Fairtrade Foundation was founded in 1992 by a group of charities including CAFOD, Christian Aid, Oxfam and Traidcraft, to create a market of better prices, decent working conditions, local sustainability and fair terms of trade for small-scale farmers. The Fairtrade Foundation estimates more than 1.65 million farmer and workers in 74 countries now get a better deal from Fairtrade. 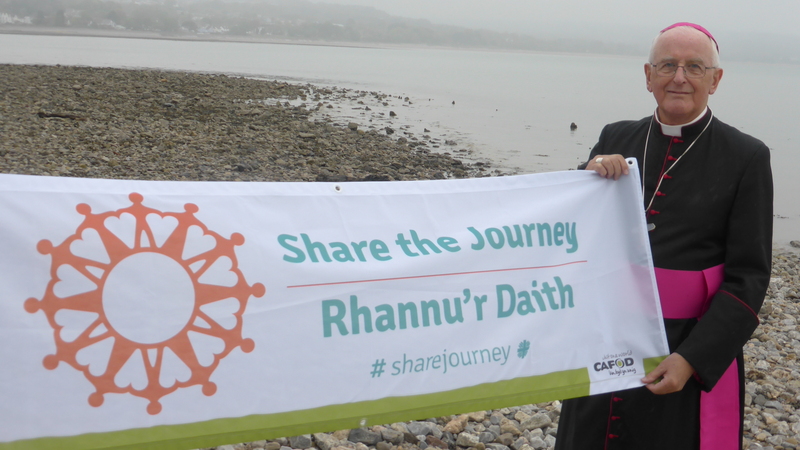 And why not explore more about becoming a Fairtrade parish? 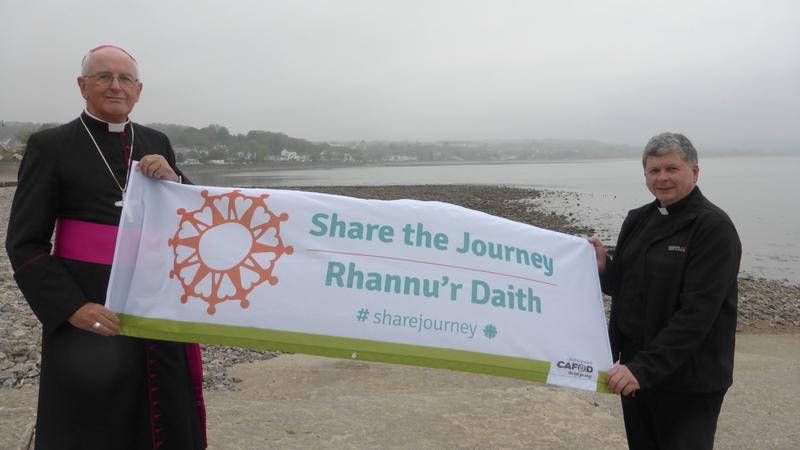 Swansea and Pontyberem residents have delivered a letter of protest to the Sainsbury’s Superstore in Quay Parade to challenge the supermarket’s decision to abandon the Fairtrade mark on some of its own-brand tea in favour of its own scheme. 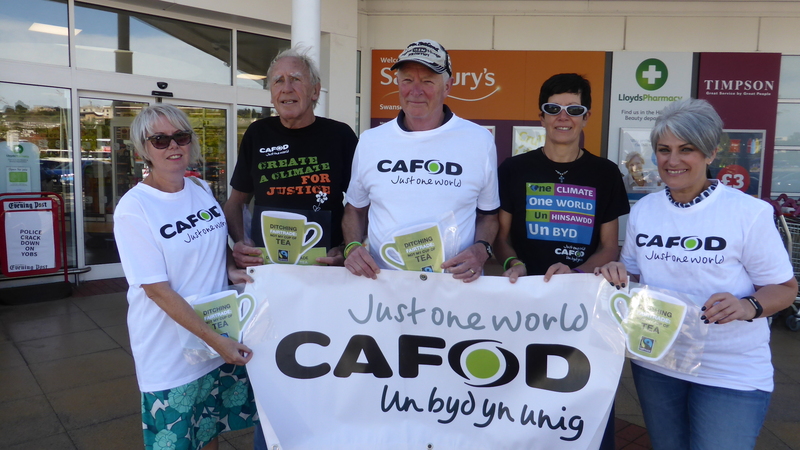 On Friday 1 September, CAFOD campaign volunteers took to the streets of Swansea to raise awareness of Sainsbury’s decision to replace the Fairtrade Mark on its Red Label and other selected teas with its own `fairly traded’ version. CAFOD volunteers get together to enjoy a Christmas lunch and chew the fat over a busy 2016. 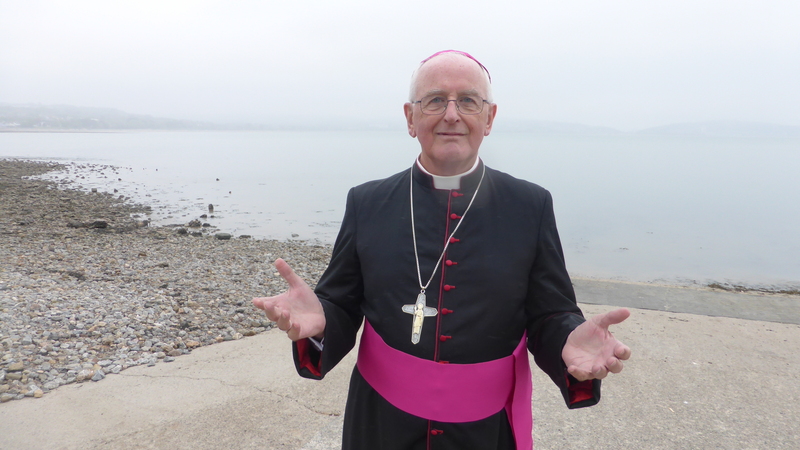 Merry Christmas to all of our friends across the dioceses of Cardiff and Menevia. On Monday 12 December, we were very pleased to welcome some of our wonderful volunteers to the Cardiff Volunteer Centre to participate in a short Advent service and enjoy a festive lunch.